Inspired by the Canadian painter, Tom Thompson, and the French impressionist, Claude Monet, Little paints landscapes that express an emotional desire to let go. As with this field of wildflower vines painted like musical notes, his involvement in interacting with his subject is deeper and less literal. 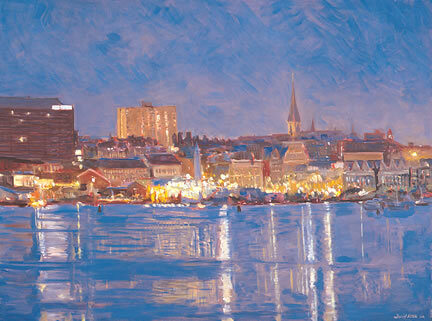 He is a regular exhibitor at Portland, Maine's Thos. Moser Gallery and Sam Shaw Gallery.